View cart “Salyers Percussion Kai Stensgaard Medium Hard Marimba Mallets KS20 – blue” has been added to your cart. 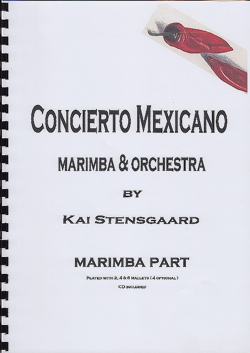 Concerto Mexicano for marimba & Symphony Orchestra. 4 & 6 mallet playing. Solo part. 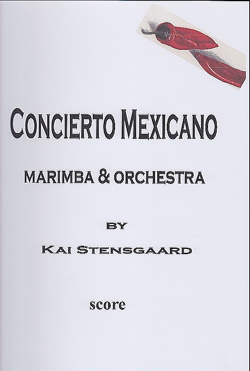 Concerto Mexicano for marimba & Symphony Orchestra. 4 & 6 mallet playing. 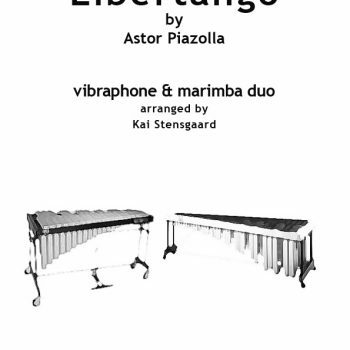 The music is influenced by traditional Mexican music and based on parts from some of my solo pieces like Rain Forest, Salsa Mexicana and Manzanilla.